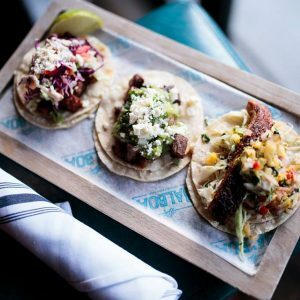 For adventurous eaters, Columbus holds its own when it comes to top-notch food trucks slinging what’s next in curbside cuisine. But in the waning days of winter, shivering on the sidewalk isn’t the only option for those hungry for something exotic and new. Hiding in plain sight from Westerville to Georgesville are strip mall surprises—unassuming ethnic eateries where the menus are deep and the rent is cheap. That’s the story behind one of the latest additions to the local food landscape, Hoyo’s Kitchen, tucked away in Columbus Square on the Northeast side. Breathing new life into the spot once held by Solay Bistro, former fans will find the renovations hide a restaurant reinvention—fast casual Somali. Owner and recent OSU grad Abdilahi “A.B.” Hassan wants to share his culinary heritage while borrowing Chipotle’s simplicity. Choose from a wide selection of traditionally prepared entrees and expertly seasoned sides. Play it safe with cubed chicken or beef “suqaar,” or go for the goat—hearty and fork-tender, with heaping helpings of rice, chickpeas, lentils, and a hot cup of Somali ginger tea to bring all of the flavors together. Right down the same strip is Mi Li Café. It’s everything a Vietnamese lunch counter should be—a limited menu with excellent execution of every item.The pho bo vien is as rich and complex as any in town, but the banh mi thit nuong still steals the show. The culture clash of regional tastes served on a crusty baguette is the culinary convergence of Vietnam’s French colonial history on a bun. Grilled pork and peppery pâté compete with the crunch of cucumbers and carrots in a sandwich that has a fierce following for good reason. Not far—yet a world away—is Mezze Middle’terranean Cuisine on North Hamilton Road, right on the edge of New Albany and Gahanna. The format is familiar, but the fare is formidable. To suggest you simply select from a list of proteins and build your meal around it is unjust. The Israeli-inspired shawarma is as sumptuous as the grilled tilapia is delicate. Gyro meat and chicken may go equally well wrapped in a pita, but the mujadara is not to be missed—a Lebanese blend of rice and lentils. Baba ghanoug, matbucha, and tabouli complement any choice, but you probably want to leave room for the homemade desserts. Everything is better with baklava. Papaya Fusion Grill strikes the balance between eastern influences and western customization, with a menu that may offer the most choices per square food of any restaurant in greater Columbus. Stir-fry, soup, or sandwich, you’ll find strange “platefellows” indeed off 161 just east of Sawmill Road. Why not order a tandoori chicken panini or firecracker shrimp po’ boy with a side of drunken lo mein or cup of lemongrass soup? If those decisions are too daunting, stick with the red curry chicken bowl—a spicy sweet blend of coconut milk, bamboo shoots, zucchini, and peppers served with rice—then work your way through the menu the next time. With arguably the best taco truck scene in the Midwest, it’s easy to overlook places like La Super Torta. But do so at your peril. Just down the road from Hollywood Casino, La Super Torta hits the jackpot. You’ll find all of the food truck favorites there, but the two-fisted tortas are what set it apart. The torta asada comes on a roll roughly the same dimensions as a slightly deflated football, piled with seasoned steak, sliced avocado, lettuce, tomato, and peppers. And whoever thought to smear refried black beans on the lid of a torta deserves a Nobel Prize in Sandwich Craft. A hot new concept is coming to one of the coolest buildings in the Short North this summer. Peerless Management Group, the minds behind BBR and Dahlia, are set to launch a new restaurant & cocktail lounge in the former Pies & Pints space located at 1026 N High St.
Called “Fireproof” in honor of the the historic Fireproof Building that will be its home, PMG plans to completely transform the space. The concept includes space for high-end casual dining, as well as what PMG refers to as an “interactive cocktail lounge” for mingling. 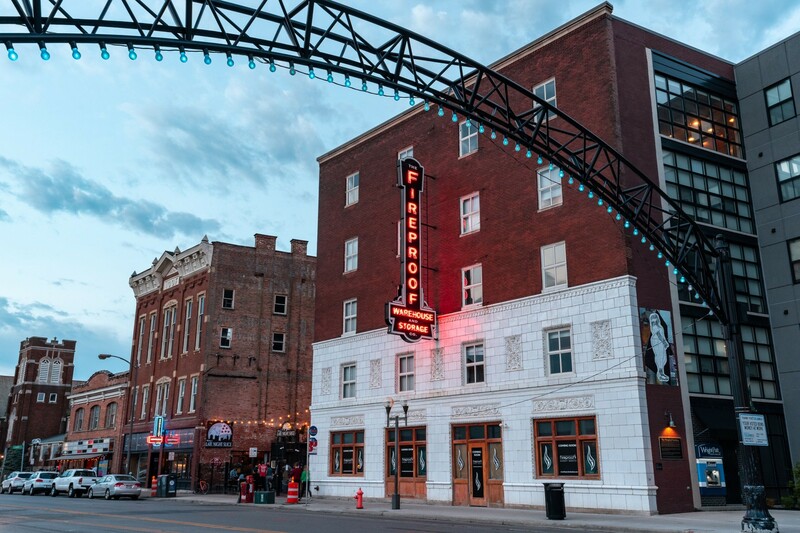 With this latest offering, PMG is setting out to create an elevated experience in the Short North tailored to foodies and cocktail enthusiasts alike. Fireproof is scheduled for a summer 2019 opening. 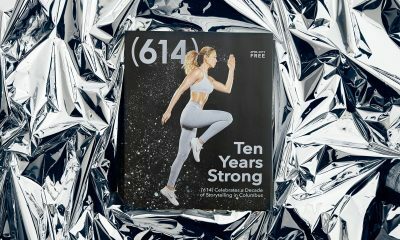 For more info, visit www.fireproofcolumbus.com. Chicago has its deep-dish, New York has thin crust, and Detroit has its rectangular shape. 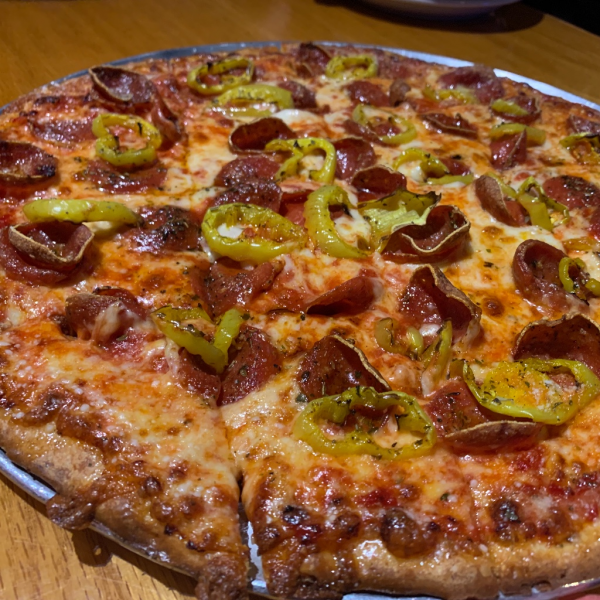 But, did you know Columbus has its own unique style of pizza? What about toppings, you ask? Like the people who populate the city are bound by their love of Columbus but still possess a unique individuality, as long as pizzas have a thing crust, square pieces, and edge-to-edge toppings, those toppings are immaterial! Therefore, be they cheese, pepperoni, or ham + pineapple (feel free to squabble in the comments section about this pairing), Columbus pizzas are free to take on a personality as distinctive as their namesake. Care to celebrate Columbus’ very first Pizza & Beer Week in true local fashion? Below are a few participating restaurants who carry a torch for the central Ohio style of pie. We’re not sure who coined it, but when a shop is known for serving “The Cadillac of pizzas,” you gotta try it. 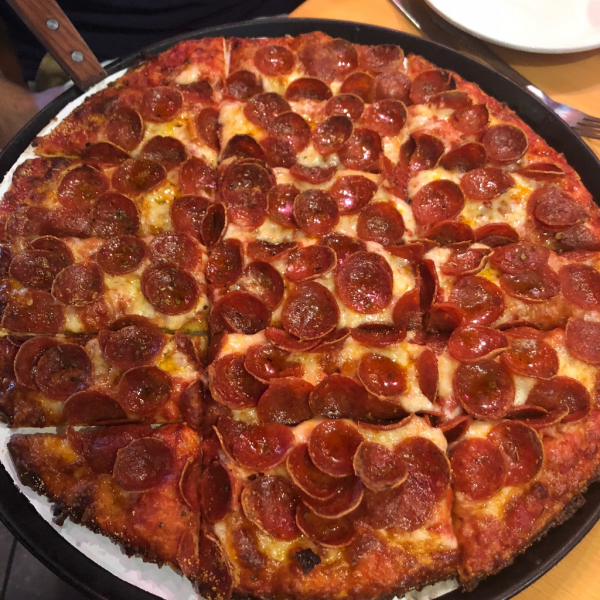 The deck oven-baked, rectangular strip-cut pizza has been a staple of the Columbus pie culture since Jim and Dan Massucci and Romeo Siri first introduced it to central Ohioans in 1949. During Pizza & Beer Week, score such specialty pies as Taco Fiesta, Cheddar Bacon BBQ, Four Cheese, and more. Do you like your thin Columbus crust bursting with flavor? Of course you do. During Pizza & Beer Week, order a signature pie with cajun, garlic, garlic butter, parmesan, or sesame seed seasoning for an extra pack to the thin crust. Wednesdays are trivia + service industry nights and there will be live music this Friday! For over 40 years Morone’s Italian Villa has been one with the community in friendship and in feeding. 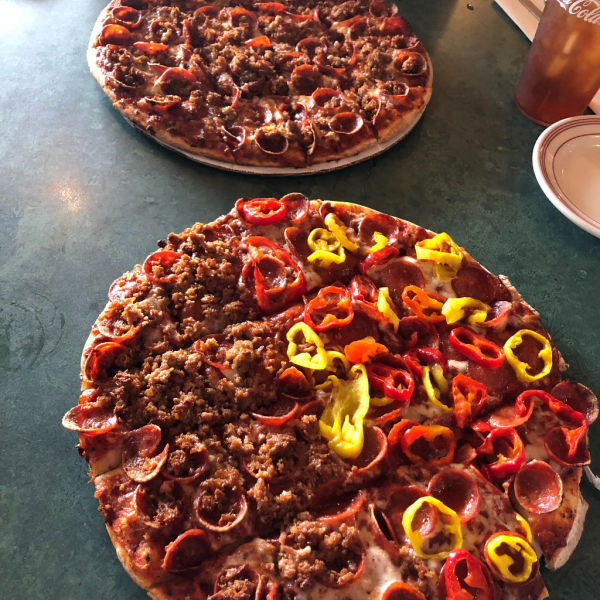 Recipes have been passed down from generation to generation to bring you the crispy, completely covered pizzas you see and sink your teeth into today. Family-friendly service and local ingredients you can trust. Stop by this week for unique pies like Loaded Potato, Cauliflower Crust Build-Your-Own, and many more you’ll only see during Pizza & Beer Week! Ah, the largest purveyor of Columbus-style pizza. 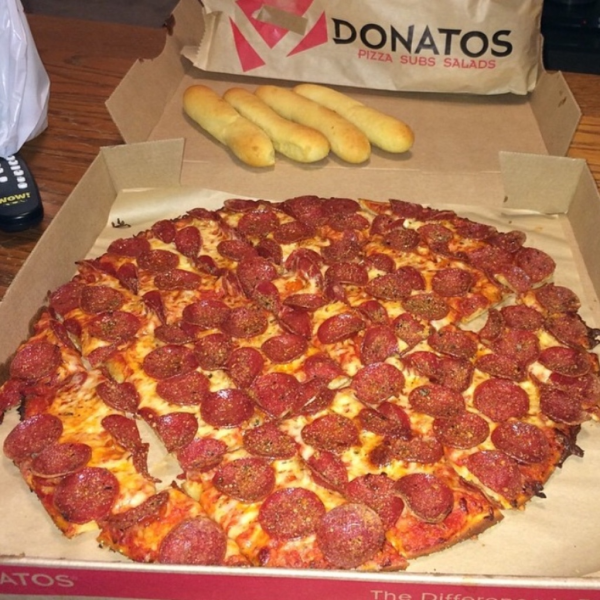 Founded in Columbus, Ohio in 1963, Donatos does it right every time with heaping toppings, thin crust, and tavern cut slices (save us the tiny triangle edge pieces!). They’re not messing around when they say every piece is important. While they may not be participating in Pizza & Beer Week, it’s always nice to patronize a Columbus-based business doing it in Columbus style. New and old collide as a brand new donut shop opened its doors for the first time right next to a popular campus dive bar. 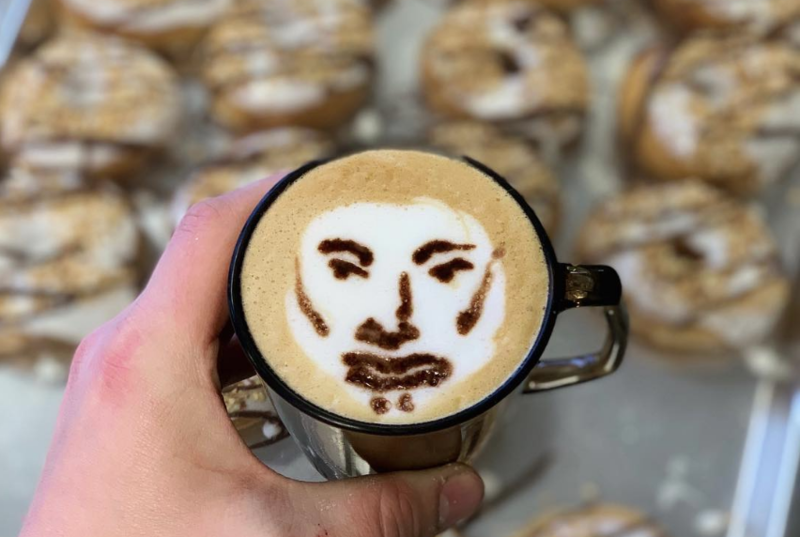 The Stack, a local coffee and donut shop, began servings its customers this morning at 262 W. Lane Ave in a new building just across the street from Varsity Club. 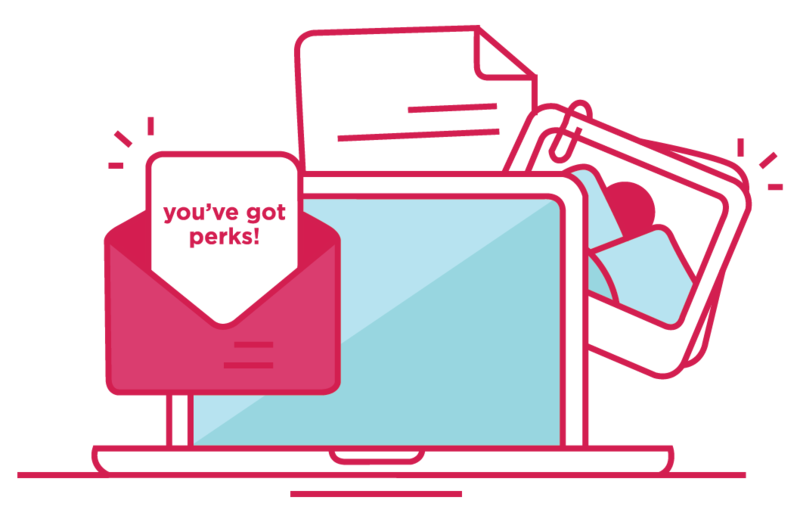 If you didn’t win the Mega Millions, but still want to fulfill your dream of purchasing lots and lots of donuts to share with your friends, we can do that, for less than a million dollars. The donuts are handmade and baked fresh every single day, a practice The Stack says isn’t typical these days. Though the offerings will vary day to day, traditional varieties like glazed, jelly-filled, and cream sticks will be mainstays on the menu. And if you’re craving something specific, “specialty preorders a day in advance are never an inconvenience,” according to The Stack’s Facebook. As far as the coffee, it’s shipped in from “all of the world’s best coffee growing regions” and blended and roasted in-house. 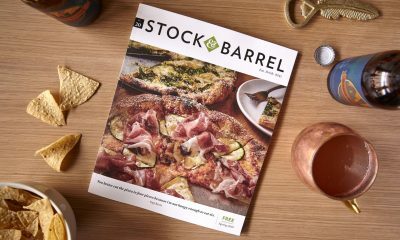 “Beyond the great basic ingredients we start with, our staff is constantly experimenting with drink making in a way that produces unique beverage choices that aren’t available anywhere else in Columbus,” reads The Stack’s mission statement. The Stack comes to us from Jordan Smith’s Lil’ Donut Factory and Tim Hofmann’s Coffee Mess. The two concepts are housed under one roof at 4543 Scioto Darby Rd, and have been a Hilliard favorite for 10 years. The donuts and coffee are prepared at that bakery every morning and delivered at peak freshness to The Stack each morning. The Stack will be open 7:00 AM – 3:00 PM daily.